Thanks to your support and the energy of dozens of people around the city, September has been a huge success! 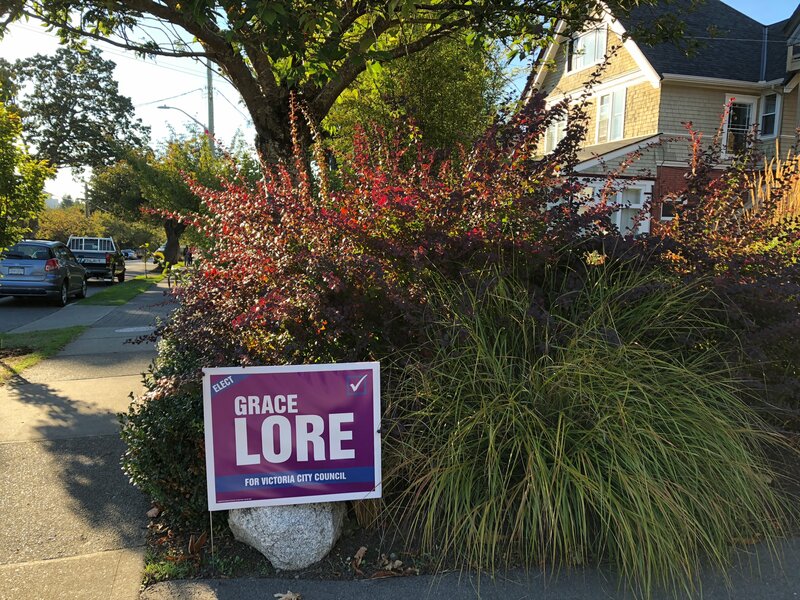 Our purple signs are dotting lawns, boulevards, and windows across the city and our flyers are in the hands of thousands of voters. We’re feeling the momentum pick-up on our call for a city-wide childcare action plan. There are some positive developments coming out of the city’s working group, but we can develop a city-wide action plan to identify opportunities and address barriers. 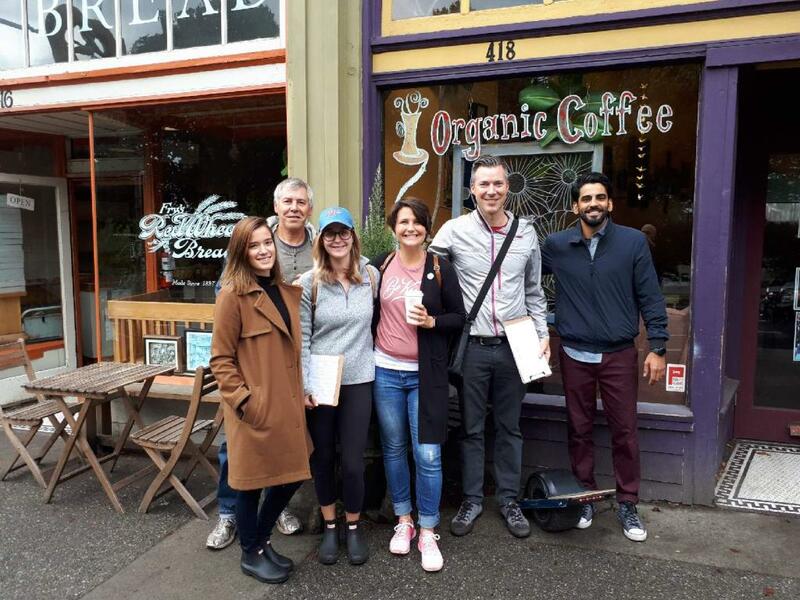 We can’t wait – just ask the families we profiled… or the Victoria Chamber of Commerce! 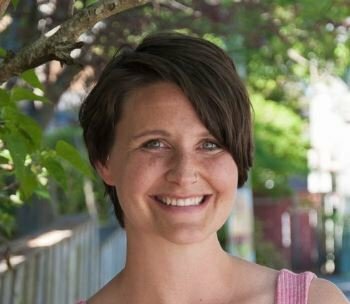 Sign the Petition – We need a city-wide childcare action plan! 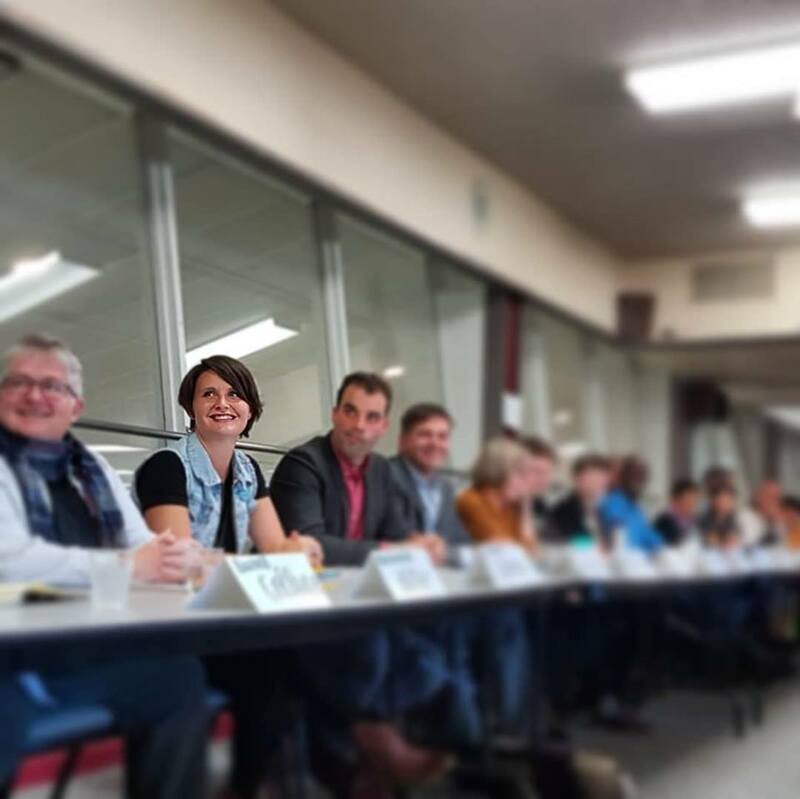 Last week, Grace played candidate Bingo at the North Park candidate and raised the issue of low-barrier recovery housing, family housing, and the need to increase access and options for participating in city decisions. And now, the countdown is really on – we have 21 days, eight all-candidates meetings, and hundreds of doors to go. Want to meet Grace or show your support? Come to one of the all candidates meeting! October 1 6:30 p.m. in the Church of Truth (111 Superior St.) in James Bay. 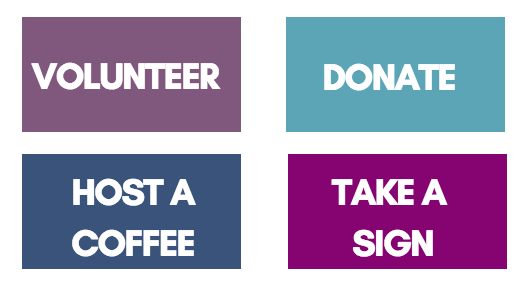 Click here to donate – We need your help. Any amount can make a difference! 1. Volunteer to hit those doors! We’ve been having a blast strolling the beautiful neighbourhoods and talking to strangers, friends, and neighbours. Please consider joining us one evening or for one of our big Sunday morning blitzes! 2. Donate! We need help getting the word out – we have identified some advertising opportunities to introduce Grace to those who haven’t met her yet and your support will be critical in securing this. Any amount helps. gracelore.ca/support. 3. Take a lawn or window sign! Show your love and help others learn about Grace with a lawn or window sign. Know others who might want one? Help us spread the purple (and the positive message! ).